Strength Training is an increasingly popular activity among women and men of all ages, and offers a wealth of health benefits – from bigger muscles to stronger bones to increased confidence. 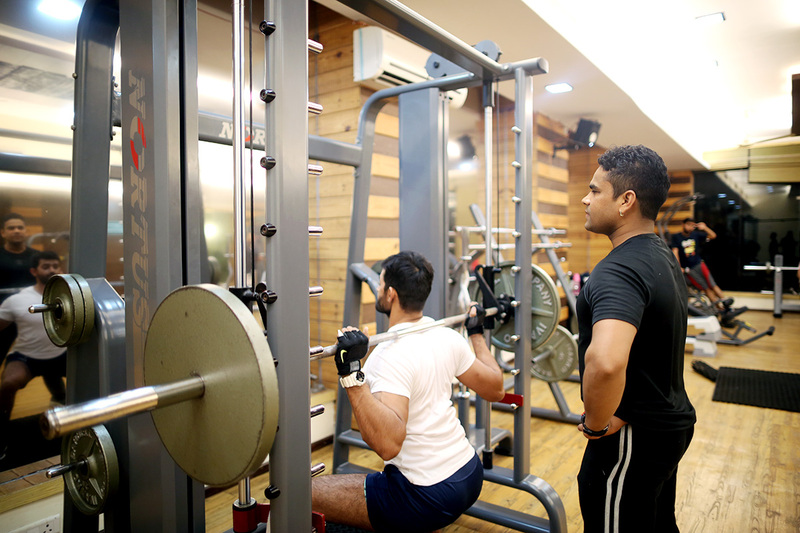 Juna has state-of-the art machinery from free weights to dedicated selectorized equipments that will help you attain the figure/ physique, you’ve always wished for. When properly performed, strength training can provide significant functional benefits and improvement in overall health and well-being, including increased bone, muscle, tendon and ligament strength and toughness, improved joint function, reduced potential for injury, increased bone density, increased metabolism, increased fitness, improved cardiac function, and improved lipoprotein lipid profiles, including elevated HDL (“good”) cholesterol. Training commonly uses the technique of progressively increasing the force output of the muscle through incremental weight increases and uses a variety of exercises and types of equipment to target specific muscle groups. Strength training is primarily an anaerobic activity, although some proponents have adapted it to provide the benefits of aerobic exercise through circuit training.